Running is excellent for your health and will make you feel great so it’s good news that there are lots of places around the Medway towns where you can go for a decent run to blow the cobwebs away. Medway Park is in Gillingham and is also known as Black Lion and is a leisure centre with a gym that has treadmills and an elite standard athletics track. It is used by Medway and Maidstone Athletics Club and the track is also available for hire. Strood Sports Centre can be found at Watling St, Rochester ME2 3JQ and it had a major refurbishment in 2014. There is a gym here with running equipment and fitness classes. The gym at Lordswood Leisure Centre is called Acorns Gym an dthey have plenty of running machines as well as a running club. This leisure centre is located at 601 Maidstone Road, Rochester, and as well as providing facilities for students at King’s School can also be used by members of the public. Facilities here include running machines. Parkrun is a great scheme which is organised artmound the world. Each Saturday morning at 9am there is a 5K run which is organised by volunteers. The Medway Parkrun is located at the Great Lines and if you sign up to their website and print out your barcode your time will be recorded. Parkrun is free to take part in too and is a great way to keep fit and catch up with friends if you go in a group but many people also go on their own. There are a number of running clubs around Medway which are a great way to keep fit and meet other people in the local area. One of the local running clubs is Rebel Runners and they were formed in 2014. Medway Fit is another local group that runs each week. Both of these running clubs have ‘Couch to 5K’ programmes too. Parks are great for running as they are wide open spaces which gives you lots of room to concentrate on running or just daydreaming without worrying too much about cars and pedestrians and you often have the option of running on either concrete or the softer option of grass. This has plenty of grass and is a decent size which means that you can get a good run in especially if you go around the park multiple times. It is quite open and light so you will feel safe running around here. There are also benches around in case you need to have a sit down. This is in Gillingham near Medway Park and there is plenty of space to run in. As it is high up remember that you probably need to take a jacket as it will get cold! As this is next to the River Medway, it has some excellent views to look upon during your run. There is a large amount of space to run in here as well so you will feel like you’ve had a good workout afterwards. The paths is made up of gravel which isn’t the easiest to run on though. This is a very pretty park near Rochester High Street and has both paths and grass to run on however it is relatively small so is probably best suited as somewhere to run through between other places that you go to on your route. This is just off New Road in Rochester and up the top of the hill. Running up the hill will bring the reward of some of the best views in Medway. The park itself is pretty and there is a good amount of space to run in with some of it being hilly so it’s not always the easiest surface to run on. Running is obviously a great way to keep physically fit but it is also very beneficial mentally too as it will boost your confidence and send signals to your mind that will make you feel happy. It is a great way to meet new people too as you can run with running clubs or organise a run with people you know or can find online to meet up at the same time. 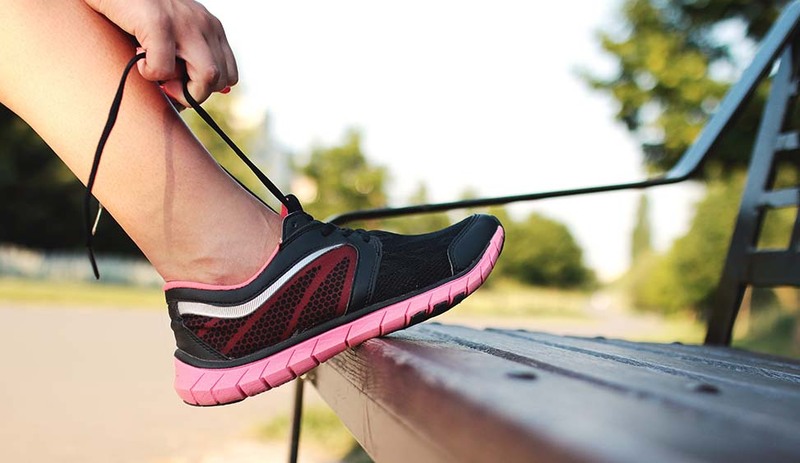 It is one of the cheapest things that you can do to keep fit as you only need some sports clothing and a decent pair of running trainers (it’s worth investing in some good running trainers if you will be going out regularly as they will reduce the impact on your body from running). Running is a great way to explore places and if you start running around Medway you will probably discover new places even if you have lived in the towns all of your life. There are some essential things that you need when you intend on going out running. It’s best to make sure that you have the right gear rather than going out in just any old sports stuff that you have lying around. A good pair of running trainers will make a big different to feet, of course, but also the rest of your body such as your knees and hips as these will take a lot of impact when running, especially when on the roads which have a big impact on your body. Trainers which you think look cool will also give you an extra reason to go out as you will feel good because you look good. When it’s raining or snowing outside, you need every reason you can get to go out running! Running trainers which have good trip for the particular terrain you plan on running on will also make a significant impact on the quality of your running. For example, there are running shoes which are particular good for running on grass and dirt and means that you will be less likely to slip. A good pair of shorts or trousers will mean that your legs are comfortable for the weather and type of running that you will be doing. It’s a good idea to keep your legs at a decent temperature which will aid in the prevention of leg muscle strain and will support your legs when running. A great pair of shorts or leggings will mean that in the hot weather your legs do not get too hot and you can move properly. It’s also worth considering the type of pockets that you need when running. I personally like to keep my phone and keys in the pockets of my trousers and shorts so I make sure that I get ones with zipped pockets. Keeping the top half of your body comfortable and warm is also a very important part of your running clothing. You want to be warm but also make sure that you have the flexibility to move around when running. There are tops that have pockets in them too but I personally think that when I store things in my jumper or t-shirt that they move around too much compared to the pocket in my trousers or shorts. There are also compression tops (both long and short sleeved) that you can buy which will aid your runs. I like these as they keep me warm and feel good to wear generally. The ones I have also have the ability for me to put my thumb through and so act as a kind of glove which I like as wearing actual gloves gets in the way of me using my phone although you can get gloves which supposedly still let you use your touch screen phone with them on but I’ve not tried them. It’s important to have jackets that you can use when going out running. THe weather can change quickly in Medway so if it starts raining outside and you are just about to go out the door for a run, you can put a rain jacket on, possibly one with a hood too, which will help protect you from the rain. The alternative is that your top will get soaked, which is hard to run in, and increases the chance of you getting a cold. Similar to hats, it’s good to have a running hat handy for the more harsh weather conditions such as rain and snow. Wearing a woolly hat when it’s cold out will keep you much warmer than not wearing a hat and there are lots of stylish options for running headwear these days. It’s important to be able to see properly when out and about running as there are lots of hazards that you need to keep an eye on such as pedestrians and cars. Protecting your eyes from the sun will mean that you can concentrate more on breaking that personal best! The options in terms of headphones has increased dramatically as most people like to listen to something when they jog and run. I personally like headphones that wrap around my ears which stops them from moving around and out of my ears. I’ve tried simple in-earphones but they kept falling out. There are also bluetooth headphones such as the buds which are generally very expensive. I’ve got some bluetooht in-earphones which around around my ear but they are quite big and bulky and need charging quite a lot so I haven’t used them as much as I would have otherwise done.